The wait is finally over. After more than a year since their first meeting at UFC 173, champion T.J. Dillashaw and former champ Renan Barão will rematch to see which fighter is the true king of the bantamweight division. Some fans have called Dillashaw’s victory a fluke. Others say that his one-sided victory over Barão was no mere stroke of good luck. Dillashaw has defended his title once since the upset over Barão. The successful defense came when he beat Joe Soto, who was stepping in on extremely short notice for Barão at UFC 177. Barão, who had been forced out of the UFC 177 bout with complications from a hard weight cut, has also fought once since losing the belt. 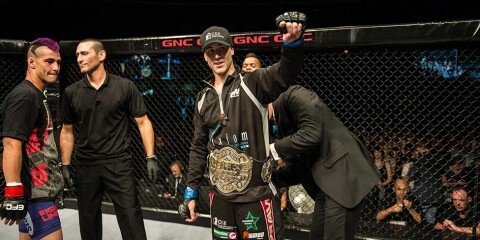 The Brazilian scored a submission victory over Mitch Gagnon in December. After their most recent wins, the two were expected to meet in April. However, a rib injury forced Dillashaw off the card. The Chicago crowd will also get to see whether Miesha Tate or Jessica Eye stakes their claim as the next woman to face women’s bantamweight champion Ronda Rousey. Tate is riding a three-fight winning streak since enduring her second title fight loss to Rousey at UFC 168. 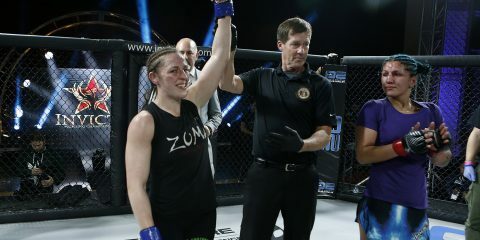 Tate has beaten the likes of former title challengers Sara McMann and Liz Carmouche during that span. 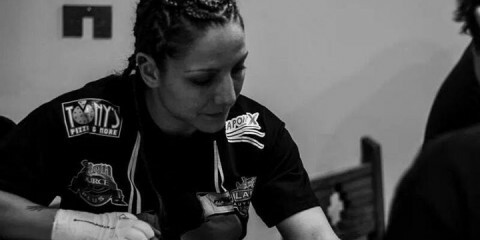 Eye is currently coming off a TKO victory over Leslie Smith that came when a doctor stopped the fight after Smith suffered a bursted cauliflower ear. The remaining two fights on the main card take place in the lightweight division and they should be entertaining fights. One contest has the potential be a great fight on the feet. Paul Felder, coming off a great knockout victory over Danny Castillo, takes on the No. 7-ranked lightweight Edson Barboza, who has a few highlight-reel knockouts of his own. The other main-card clash features human UFC bonus machine Joe Lauzon against “The Fireball Kid” Takanori Gomi. 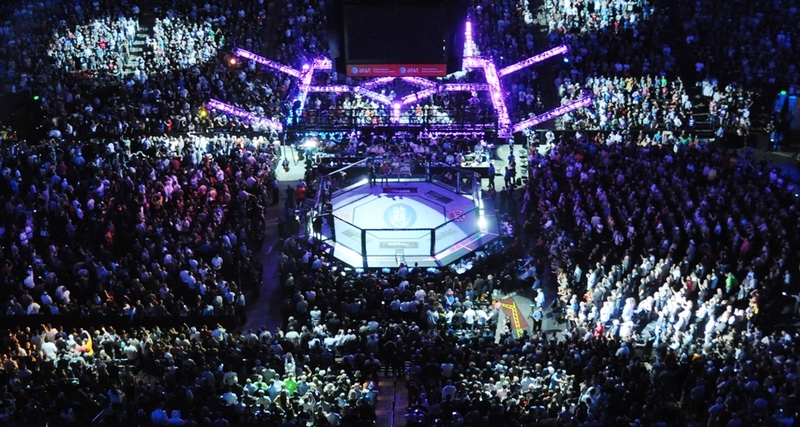 UFC on Fox 16 takes place at the United Center in Chicago. The preliminary card kicks off on UFC Fight Pass with four fights beginning at 4:15 p.m. ET. The card then moves over to Fox Sports 1 with another four fights at 6 p.m. ET. The main card begins live on Fox starting at 8 p.m. ET. This edition of Toe-to-Toe is brought to you by resident prognosticators Vince Carey and Sal DeRose. This will be only the second title defense for T.J. Dillashaw since he captured the title from Renan Barão nearly a year ago. Did Dillashaw’s first defense against Joe Soto, who lasted into the fifth round before he was finished off via TKO, raise any concerns about the champ’s ability to beat Barão a second time? Carey: I don’t know if we’re ever going to see Dillashaw look as good as he did when he upset Barão last year. It wasn’t just one of the most shocking upsets in UFC history because Dillashaw won the fight, but also because the Team Alpha Male fighter completely decimated the champion for nearly five full rounds before scoring the finish to win the belt. Barão had been so dominant prior to the fight that I spent most of the week before the bout serenading my younger brother (who’s a massive Dillashaw fan) with “Uh, vai morrer” chants. I was so confident in a Barão victory, but then Dillashaw came out and made Barão look like he was two steps behind for the duration of the fight. It was truly a masterful performance by the current champ, but now the pressure is on Dillashaw to repeat the performance in order to retain his gold. It will be a tall order for Dillashaw to beat Barão again. 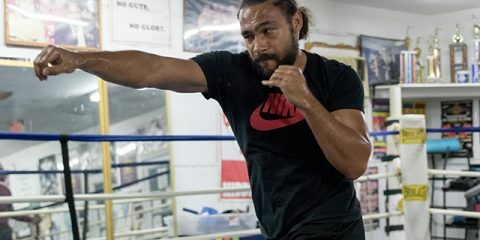 After the champion had more difficulty than most fans imagined with Soto in his first title defense, it’s understandable if any confidence in the champion’s ability to retain is a little down. However, I’m not sure it needs to be. Dillashaw agreed to fight Soto on basically 24-hour notice after Barão was forced to pull out of the bout at the last second, and with the new opponent came a completely different style and mindset for the champ. After spending months preparing for Barão’s Muay Thai and Brazilian Jiu-Jitsu game, Dillashaw was put in the cage with a wrestler who wouldn’t hesitate to take the fight to the mat. To add to the stress, Dillashaw and Soto trained together on multiple occasions and had at least some feel for each other’s game, a scenario that is going to make things difficult when there’s no time to mix things up and prepare. For those reasons, I’m not going to put too much stock into Dillashaw’s somewhat disappointing win over Soto last summer. And to be fair, he did score a finish and dominated the bout. Dillashaw took a title fight under circumstances that many fighters wouldn’t have and he came out victorious, so there’s really not much to complain about. That being said, the fight with Soto did allow us to see that Dillashaw isn’t permanently the wrecking machine that killed Barão in their first bout. That’s why I’m expecting a much closer fight this weekend. Gun to my head, though, I’m taking Dillashaw to retain his belt. From the first moments of the fight at UFC 173, it seemed like Dillashaw had Barão’s number. His distance was perfect, his timing on his strikes and combinations was ridiculously good, and his footwork had Barão caught like a deer in the headlights for much of the bout. Those are a lot of things to go right for a fighter while battling a top-tier opponent, and it sure as hell wasn’t luck that won Dillashaw the belt. The champion was the better fighter on that night, and he’s going to use many of the same keys to take home a decision this weekend. DeRose: I don’t know how much more I have to add to my colleague’s sentiments. The fight with Soto was indeed a tough one, but Dillashaw took it on such short notice that I, too, am willing to overlook how long it took the champion to secure the win. This is professional mixed martial arts and sometimes, even against a fighter who is supposed to get absolutely demolished, it takes time to get the finish. It was literally a fight on 24 hours’ notice for Dillashaw. That is a huge factor to consider. We’re talking about a complete change in the mental state of a fighter now that A.) the challenger who he just beat to get the title pulled out, and B.) he is facing someone completely new with no time to form a new game plan. The fight was a lose-lose situation for Dillashaw. If he lost, people would have questioned his fight with Barão. If he won, people would question him because he hasn’t rematched Barão. This is an understandable scenario, though, especially considering how long Barão had been undefeated prior to their fight. That’s not to mention how unbeatable the Brazilian looked before meeting Dillashaw. The scale was the only thing fans and pundits thought capable of beating Barão. This is a tough fight to pick. It is just one of many fights on this card that have a chance to go either fighter’s way. However, look for history to repeat itself and Dillashaw to put on another great performance. It won’t quite be the same as last time, but Dillashaw’s use of angles and movement will once again keep Barão off guard and at bay. Dillashaw hasn’t slowed, and Barão had a lot of trouble with the Team Alpha Male fighter’s speed in their first encounter. Add in what the weight cut might do to Barão (even if he makes weight), and there are plenty of factors working against the ex-champ. It has been quite some time outside of the cage for both fighters, but Dillashaw should show another strong performance with either another late stoppage or a decision victory. The evening’s co-headliner pits Miesha Tate against Jessica Eye. Tate has lost twice in fights against women’s bantamweight champion Ronda Rousey and once to contender Cat Zingano, but she’s defeated all other highly ranked contenders she has encountered, including Sara McMann. If Eye gets past Tate, she’ll likely move near the front of the line for a title shot. But what if Tate wins? Does she get a third chance at Rousey? DeRose: Let’s be real here and acknowledge that there is a title fight riding on the line with a win for either women. Tate is less likely than Eye to get one, but the women’s bantamweight division is completely devoid of challengers for Rousey. It’s essentially a nuclear wasteland thanks to Rousey’s complete and utter dominance. The path is certainly clear for Eye. I wouldn’t say she is likely to move to the front of the line, but rather that she will move to the front of the line. Holly Holm is possibly the other top candidate in the division right now, but the former champion boxer hasn’t really dazzled in either of her UFC performances. Holm was built as a great title challenger who could outstrike Rousey, but she hasn’t figured out how to put on a consistently good performance over three rounds. Tate is definitely a stronger fighter than anybody Holm has beaten. If Eye can get past Tate, then she has an edge over Holm for the title shot. Tate can certainly win this fight, though. For every reason Eye wins this fight, there’s a counterpoint in favor of a Tate victory. The 28-year-old Tate has been really good in her last three fights. She seems to have evolved more and more as a complete fighter. 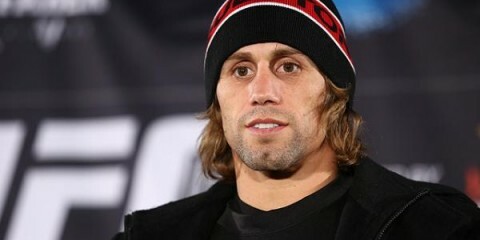 However, Eye has looked really impressive since entering the UFC. After her loss to Alexis Davis, Eye came back and blew up Leslie Smith’s ear like a water balloon. If the ref didn’t stop the fight and save Smith’s sliced-open ear, Eye was well on her way to stopping Smith inside the distance. Call me crazy or say I just want to see somebody new face Rousey — which I most definitely do — but I have a gut feeling that Eye wins this fight. Her victory over Smith sold me. Well, that victory and the fact that the last time I picked against Eye she ended up with an upset win over Zoila Frausto at Bellator 83. Carey: First things first: if Eye wins this bout, then there’s no way to deny the woman a title fight. Outside of the aforementioned Holm or a rematch with Zingano, there really won’t be another option for Rousey. (That’s assuming, of course, that the champion retains her belt on Aug. 1 at UFC 190.) Of the three choices, Eye is by far the best option. Holm has been, as my colleague suggested, underwhelming. And there’s not much of a chance that Zingano is going to jump Eye in the pecking order when she hasn’t earned a win since her loss to Rousey. Plus, a win over Tate is a big deal. If Eye can pull it off, that’s more than enough to earn a chance to make history. The reason that it’s a big deal if Eye beats Tate is because Tate is a damn good mixed martial artist. She’s a former Strikeforce champion at 135 pounds, and “Cupcake” is currently riding a three-fight winning streak after falling to Rousey for the second time. Tate may not be the flashiest or most impressive fighter in the division, but she’s ridiculously tough and has the gas tank to take opponents into deep waters. Eye is going to be one of the most durable and aggressive fighters Tate has fought inside the Octagon though, and Tate has proven to be hittable in her UFC career. It’s going to take one of the former champion’s best performances to get the win, but if she does emerge with her hand raised, then she’s going to be right in line for a third crack at Rousey. I’m picking Tate to win a decision this weekend. However, I don’t think she’s getting the title shot right away. Rousey is likely going to go off and film her new movie with Mark Wahlberg after she fights at UFC 190. If “Rowdy” does leave for Hollywood for a bit, it’s going to open the door for an exciting rematch between Tate and Zingano. Zingano didn’t get a chance to showcase anything against Rousey when her aggressive start to the fight ended up allowing the champ to catch her with a quick submission. It wouldn’t be surprising if the UFC put her in the position to earn another shot due to how shallow the pool of title contenders is at the moment. If that’s the route the company decides to go, there’s no better match-up for Zingano than a rematch with Tate. These two put on one of the greatest fights in women’s MMA history when they clashed a few years ago. If the second bout has half the drama of the first, it would be a great way to decide the next title challenger. Undefeated Paul Felder gets a shot at a top opponent when he faces No. 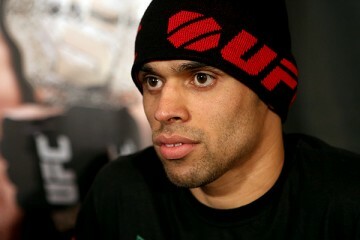 7-ranked Edson Barboza. 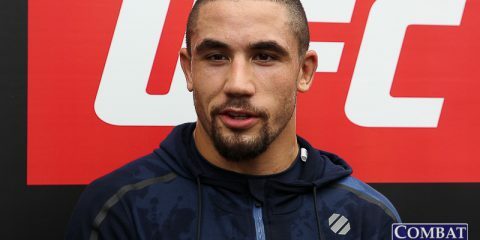 Is this the fight that vaults Felder into the top 15, or does Barboza find a way to bounce back after a decision loss to Michael Johnson in his last fight? 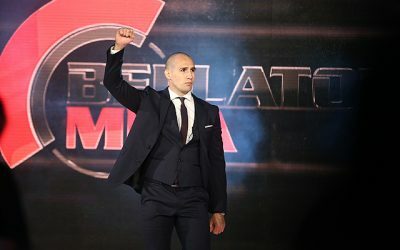 Carey: I’d love to jump on the Felder bandwagon and pick him to win this weekend after the sweet spinning backfist finish he pulled off in his last bout, but I just haven’t seen enough of the former Cage Fury Fighting Championships champion to convince myself that he can beat a seasoned top-10 veteran like Barboza. 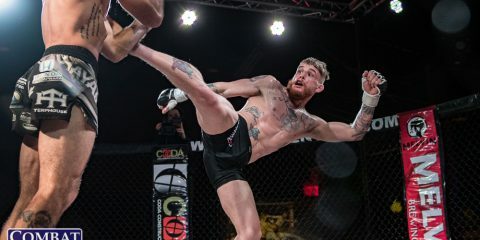 As good as “The Irish Dragon” looked while sending Danny Castillo sprawling to the mat earlier this year, it was still just his second fight in the Octagon, and one that came after he barely snuck past Justin Saggo by split decision. Also, let’s not forget that Felder is only getting this opportunity due to an injury to Myles Jury. While it’s always cool to see the UFC give hot prospects a shot at making a name for themselves, this is just a little too big of a step up in competition at this point in Felder’s career. Felder has never fought anyone quite like Barboza, and that’s what makes it so tough to pick against the Brazilian striker. When Barboza’s at his best, he’s one of the scariest, most devastating guys in the division (just ask Terry Etim). While Felder has become a bit of a knockout artist with seven KO finishes in 10 fights, Barboza is on a different level than 90 percent of the fighters inside the Octagon when it comes to the striking game. Barboza has been one of the best in the world when he hasn’t been fighting top-notch competition. Since Felder hasn’t done nearly enough to prove that he’s on that level, it makes it hard to lean his way. Adding to my confidence in Barboza is the fact that he’s coming off of the loss to Johnson. The Brazilian has been murderous when he has had the chance to redeem himself following a loss in the UFC. After his first loss to Jamie Varner a few years ago, Barboza rattled off two straight first-round finishes. When he came up short against Donald Cerrone a few fights later, Barboza’s response was to return and absolutely wreck the extremely tough Evan Dunham. Some guys just fight better after suffering a bit of adversity. Barboza is one of those fighters, so I fully expect him to put a hurting on Felder this weekend. 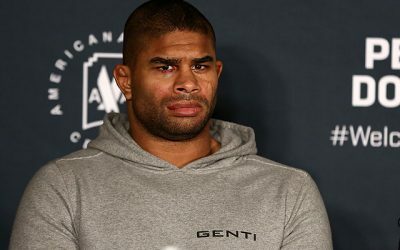 DeRose: While my colleague and I agree on a Barboza win, I’m not so out on Felder. Castillo is a tough out. The Team Alpha Male fighter is consistently a fringe top-15 candidate and a good name to help break through the middle of the division. Felder stopped him in impressive fashion. Barboza is Felder’s stiffest competition to date, but Felder should be able to give the Brazilian a fight. It all depends on which Barboza shows up to this fight. Will it be the Brazilian who fought for points against Bobby Green? Or will it be the Barboza who kicked Terry Etim into oblivion? Point fighter or exciting fighter? My prediction is that it’ll be the point fighter. Felder obviously has some power in his hands. The 31-year-old knows how to place a good shot, too. Barboza will probably fight in a similar manner to the way he approached the Green fight. He’ll seek to keep Felder on the outside and stay out of range of any power shots Felder may throw. Felder will need to break inside against the Brazilian. There is a five-inch reach advantage in favor of Barboza, and that should help Barboza in his quest to keep Felder at distance. Felder must close that distance, check the Brazilian’s leg kicks and prevent Barboza from establishing his jab and finding his range. Not many fighters get an opportunity like this so early in their UFC career. Barboza has a deep resume that contains some good lightweight talent. The Brazilian is currently a top-10 fighter in arguably the UFC’s deepest division, and a win over him is priceless for an unranked fighter. The victory, should Felder get it, would inevitably push the up-and-comer into the top 15. 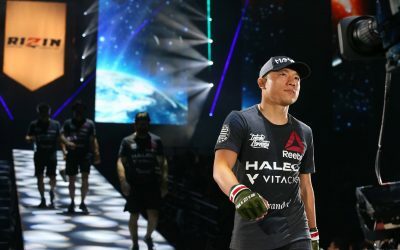 In what’s almost sure to be a “Fight of the Night” candidate, the main card is set to kick off with a battle between Joe Lauzon and Takanori Gomi, two of the UFC’s most popular and exciting lightweights. Can either of these longtime UFC vets use a victory over the other to try to jump into the rankings at 155 pounds? Or perhaps more importantly, can these two possibly live up to the level of excitement fans are expecting from this fight? DeRose: Both men could certainly use the victory. However, it might be tough for either fighter to use the victory as a springboard to the rankings. If Lauzon or Gomi moves into the rankings, which lightweight falls out? The bottom part of the top 15 consists of Nate Diaz, Beneil Dariush and Dustin Poirier. The only one of those three fighters who didn’t win their last fight is Diaz, who hasn’t even fought in 2015. Does the winner of this fight supplant Diaz? Maybe, but it’s a tough argument to make. Lauzon is 2-3 in his last five fights. What helps to alleviate the problem of that record is the fact that the 31-year-old has fought a lot of good talent in that span — and for the better part of his career too. Gomi’s inclusion in the rankings is an even harder case to make. He hasn’t fought in 10 months and lost to Myles Jury via TKO in his last fight. The former Pride champ does have a better record than Lauzon over his last five fights — just barely, at 3-2 — but he hasn’t strung together a winning streak of more than two in quite some time. The 36-year-old’s age is also another problem. Gomi probably isn’t the name Lauzon needs to definitely secure a top-15 ranking, but he could definitely make it work. The match-up with Gomi does provide one thing: it gives Lauzon a fight that he can use to continue to add to his “Performance of the Night” bonus collection. Gomi is certainly up for a war, and Lauzon is as exciting as anybody in the cage. These two fighters definitely leave it all in the Octagon. It seems rather hopeful to put total stock into an exciting performance. Sometimes we expect a fight to be the most exciting fight ever and it turns out to be very lackluster (I’m looking at you, Douglas Lima and Andrey Koreshkov). However, these are two fighters who don’t fight safe, regardless. They risk the win to go for some extra cash at the end of the night. Based purely on his grappling abilities, Lauzon will take this fight. There really isn’t an adjective I can think of that would accurately describe my thoughts on Lauzon’s grappling, but it is highly entertaining to watch him chain together submissions, reversals and changes in position. Gomi will be overwhelmed on the ground. Carey: Yeah, I have to agree. There’s not much of a chance that either of these two will be sniffing around the top 15 any time soon. Both fighters are going to leave behind an amazing legacy when they walk away from the sport, but they seem like they’re a hair past their prime. Lauzon is one of those fighters that either looks incredible or suffers a beating (and sometimes both), but it’s really tough to guess which Lauzon is going to show up on any given night. He has been extremely inconsistent as of late, and until he can start to get into a groove, it’s hard to have a lot of faith in his ability to move up in the rankings. He is still only 31, yes, but he has a lot of fighting miles on his body already. I’m not ready to say Lauzon is going to start declining yet, because he’s the type of fighter that can start catching opponents and get on a roll. However, a loss this weekend would really hurt my confidence in the fan-favorite. Gomi is the type of fighter that could easily fall into one of Lauzon’s many traps if the fight hits the floor. The Japanese fighter is extremely aggressive on the feet and loads up often when he starts throwing his wild hooks. If he lands even one of those shots flush, he has the power to put Lauzon away. Lauzon’s boxing has improved over the years, though, and he should be able to avoid those bombs. If Gomi overcommits and ends up on his back, this fight could get wrapped up quickly. It’s going to take good takedown defense and a little more patience from “The Fireball Kid” than we’re used to seeing. I love Gomi’s chances at winning this fight if he can keep it upright. If his takedown defense holds up, Gomi could earn his first knockout in a couple of years. No matter how this fight ends, it’ll be exciting. I have a good feeling these two will live up to the hype. Whether it’s Lauzon jumping on Gomi and locking up a submission, Gomi scoring a throwback knockout and getting the crowd on their feet, or just three rounds of fury, I bet this fight is going to be a ton of fun. I’m picking Lauzon to come out with the win because I don’t trust Gomi’s submission defense, but this is pretty much a coin flip. Carey: This is a pretty awesome card from top to bottom. I could throw a number of fights in this spot, but I’m most excited to see how the bantamweight match-up between Eddie Wineland and Bryan Caraway goes. Wineland hasn’t fought in over a year after having his jaw shattered in an upset loss to Johnny Eduardo in his last outing. Prior to that fight, he was just a fight removed from a bantamweight title bout. 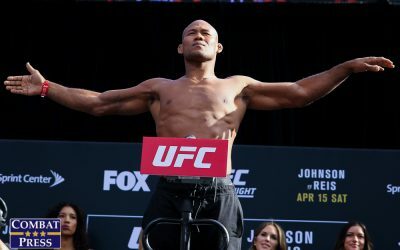 Meanwhile, Caraway is trying to come back from a loss in the biggest fight of his career when he took top-five opponent Raphael Assuncao the distance in October. Both of these guys have bantamweight title aspirations. While I’m not sure how realistic those aspirations are, this fight will go a long way toward deciding which man is for real. This won’t be the most exciting fight of the night, or even the closest, but the clash of styles is really intriguing. Wineland has heavy hands and a pretty solid wrestling base, so he’ll more than likely look to stand and bang. Caraway is no slouch of a wrestler himself, and his submission game is way better than he usually gets credit for. Both of these guys are well rounded enough that I doubt we’re looking at a beatdown for either man if they can’t get the fight where they want it, so I’m expecting a back-and-forth fight that hopefully allows one of these guys to stand out and get back into the mix at 135 pounds. 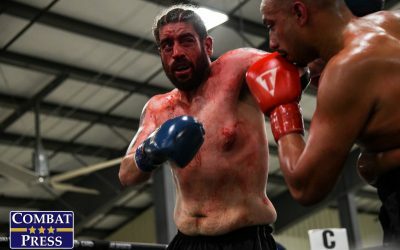 DeRose: It’s hard to go against a Wineland pick, but I’ll look elsewhere on the card and single out the return of Tom Lawlor against Gian Villante. Villante is a ton of fun to watch. 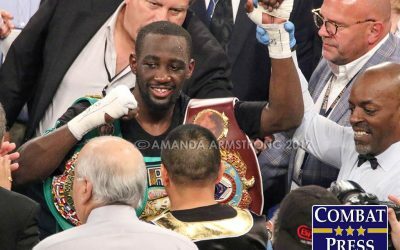 That has been especially true in his last two fights, where he brought home “Fight of the Night” bonuses. A third straight performance bonus could be on its way. Then, add in Lawlor, another fighter who likes to throw down. Lawlor hasn’t been in the ring for more than two years, so I fully expect him to unleash an awesome show. Furthermore, Lawlor always has something epic planned for his walkout and weigh-ins — his UFC 100 and UFC 113 walkouts were amazing — so, barring any limitations imposed on him under the new Reebok deal, that should give fans some entertainment before Lawlor even squares off with Villante. DeRose: Besides this legendary video of Gunnar Nelson dancing to Sia’s “Chandelier”? How about a night in to enjoy a title fight on a free card, which is an amazing stunt for the promotion. The UFC could have opted for a different headliner. Instead, the company chose this magnificent title fight, a rematch of a contest that was stunning to watch the first time around. It’s rare that this happens. 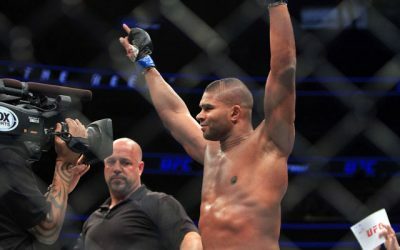 The UFC could have easily made some money off of this fight as a co-main or main event on a pay-per-view offering, but fans are getting it for free. I know this sounds like a lot of hype, but this is truly something great. Bring in some friends, order some food — or, perhaps, do what my fellow writer and I are most likely to do and drive on down to Taco Bell to pick something up — and just enjoy the night by watching an awesome main card for free. Carey: How in the hell can I compete with that Gunnar Nelson video? Unless someone can link me a video of Rory MacDonald lip-syncing Taylor Swift’s “Bad Blood,” I may have to concede this round to my colleague. Besides pairing the card with Nelson prancing around like a forest creature, this is a good time to go all out and spend some money on your food and beverages. It’s rare to get a card of this quality without having to drop the $50 or more on a pay-per-view, so use the income you saved and go all out with the dinner menu. Buy some better beer than the six pack of Keystone you’re usually forced to suffer through during the fights, or buy two pizzas instead of one. This is a fantastic card and one that you’re not going to have to spend any money on, so you might as well treat yo’ self.